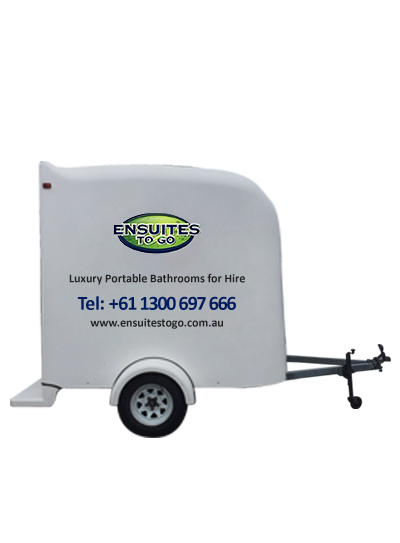 Ensuites To Go offers wide range of options in luxury portable ensuites hire services to match your sanitation requirements for any size of event. The solutions vary as per the event and can fit the site since we offer several options with features such as running water sinks, hot water system, disable toilet, backup battery etc. With years of experience, our team of experts ensures success of any event with dedicated services. We work with attention and focus on details to complete any project with top notch services ensuring its success and satisfaction of our customers. Our options vary in terms of size and features to meet the diverse requirements of customers so that they can find the best bathroom rental solutions for their events. Our services are efficient, professional and dedicated with no space for flaws in the process. Portable bathroom solutions are best fit for your requirement in any event so that from start to finish, you can rest assured of a professional and clean portable restroom experience. Sophistication and class is assured with our portable bathroom solutions and that too at highly affordable prices. Mobile bathroom have proved to be an innovative luxury for the guests attending. . .
Portable bathrooms have managed to carve their space in the highly competitive sanitization. . .
Corporate offices tend to organize a lot of corporate events and corporate parties. Family functions and events are special occasions where we are surrounded. . .
Planning to go on a holiday? What about an adventure trip or a caravan holiday? Emergencies can occur anytime. Emergencies like earthquakes, floods, accidents, fire breakouts, etc. En-suites to go was recommended to me by my neighbour and I will definitely be hiring portable En-suite from here again. Excellent condition, well maintained and the service was 5 stars all the way. Many thanks I will continue to spread the good word about you. Thanks for the great service again today. Mobile En-suite up to usual high standard, the staff friendly and informative.